I saw this quote a while ago. It’s true. 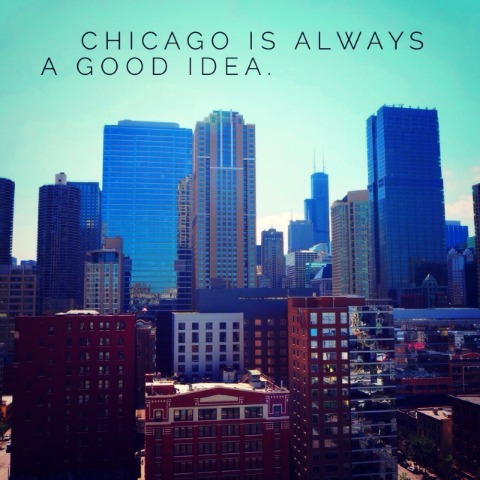 Chicago is always a good idea! 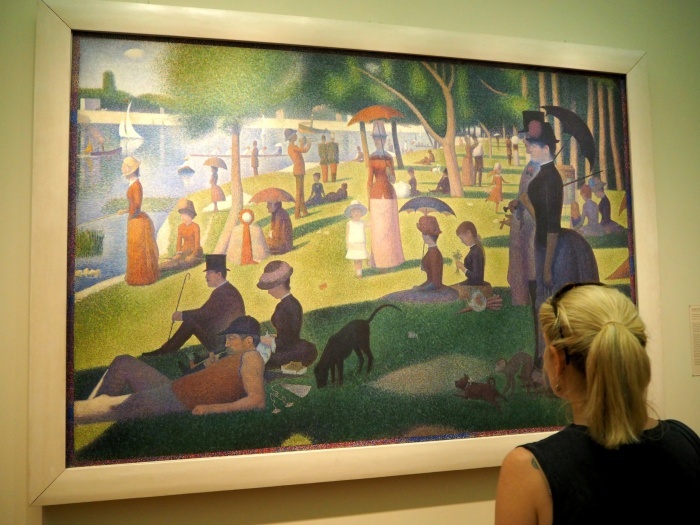 I have wanted to go to Chicago for years, ever since I watched my two favourite movies, Ferris Bueller’s Day Off and About Last Night, both of which are awesome and both are which are set in Chi-Town. This trip for me was like some sort of movie loving pilgrimage. 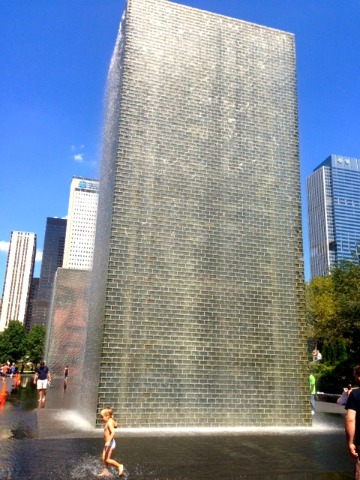 However, Chicago wasn’t what I expected at all, it was so much more. We rented the most perfect AirBnB apartment from Michael who was the perfect host. There was so much to love about this space but my favourite thing was the view from the balcony. 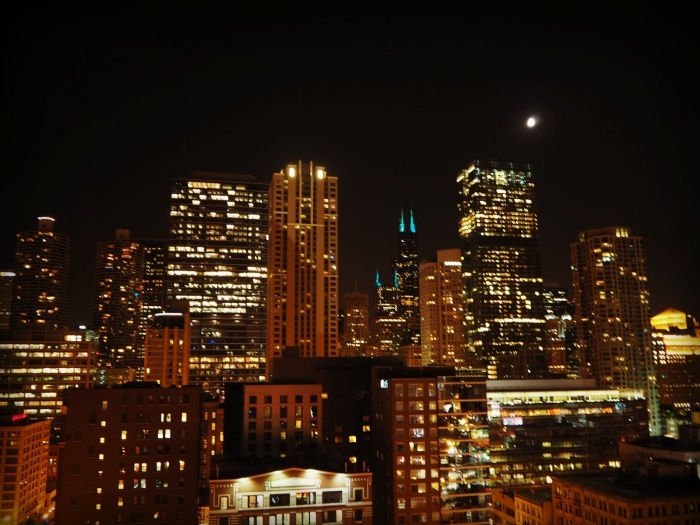 Bright lights, big city and the moon! This was our first Air experience but it won’t be our last. 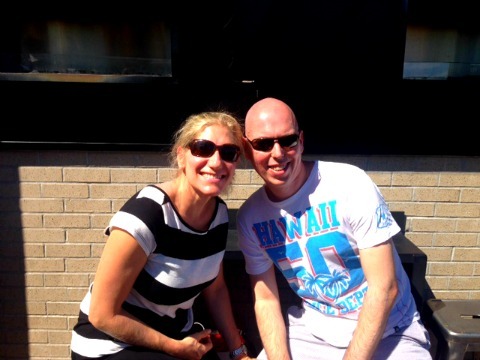 Our place was in River North, a hip and happening neighbourhood with a plethora of bars, shops and restaurants. Everything in the city was within walking distance which meant that we clocked up quite a lot of kilometres. Michael’s knowledge of Chicago is nothing short of legendary. He not only left us home alone in his apartment, he left us a comprehensive “guidebook” with his recommendations from the best rooftop bar to the best place to get a hot dog. The only problem was a week wasn’t nearly long enough to make our way through Michae’s list. Chicago is known as the windy city, but I can think of far better names than that. After a week in Chi-Town, I’ve come up with the following seven alternatives. There’s so much to love about Chicago. The people are super friendly from wait staff to sales people to the man on the street, everyone is polite and ready with a smile. The city is arranged on a grid system so it’s pretty hard to get lost and it’s super easy to get around on foot. If walking isn’t your thing, it’s easy to use the train (AKA the L) the bus or download the UBERX app for cheap cab rides all over town. I’m not a fan of flat shoes per se, but my trusty Crocs (yes, Crocs) have walked me all over town in comfort and style. The shops are amazing. We may or may not have melted the credit card and exceeded our luggage limits. 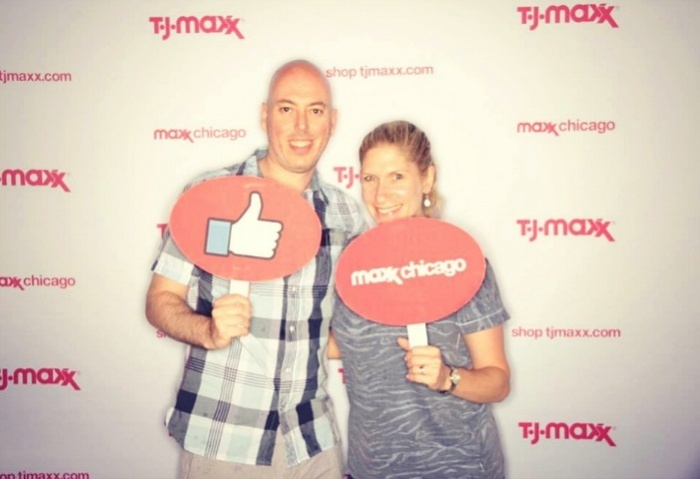 Here we are at the grand opening of TJ Maxx Chicago. It was all kinds of crazy in there! The range of food and drink in Chicago is mind boggling. 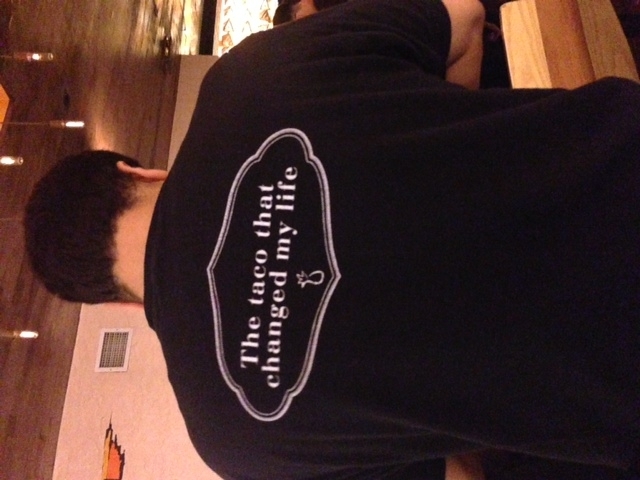 We have tried everything from Hot Dogs Chicago style to burgers, from delicious breakfasts to extravagant high teas and deep dish pizza to life changing tacos. You can find this Mexican perfection at Mercadito. 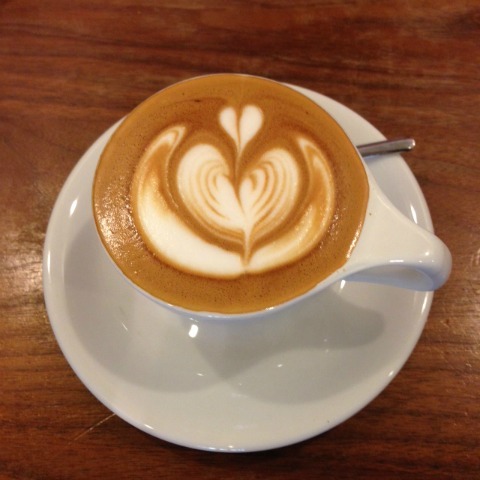 We even found good coffee at Intelligensia. Finding good coffee in America is like finding a diamond in the street, so that was a most welcome discovery. Apart from the excellent coffee we visited ale houses, champagne bars, rooftop terraces and drank cocktails from the highest buildings in the city. We savoured every moment and every last drop. Chicago has it’s share of skyscrapers and breathtaking architecture but there’s also a lot of parks and green areas. 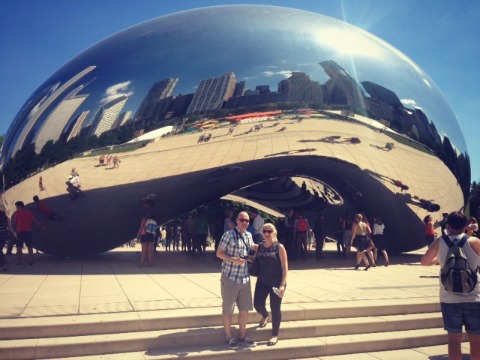 We took the ultimate selfies at Cloud Gate (AKA the Bean) in Millenium Park and enjoyed the wet and wild at the Crown Fountain. And let’s not forget the beach. There are paths all along the foreshore making it a great place to take a stroll, go for a run or get on your bike. 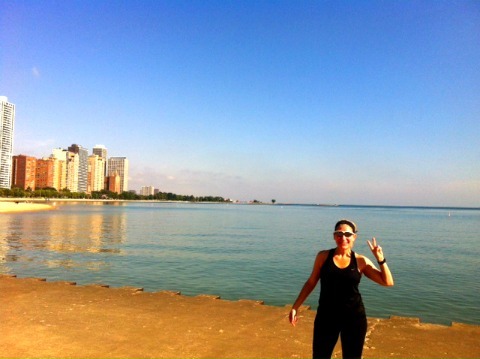 We ran Chicago and we loved it! Sigh. The things we do for coffee. 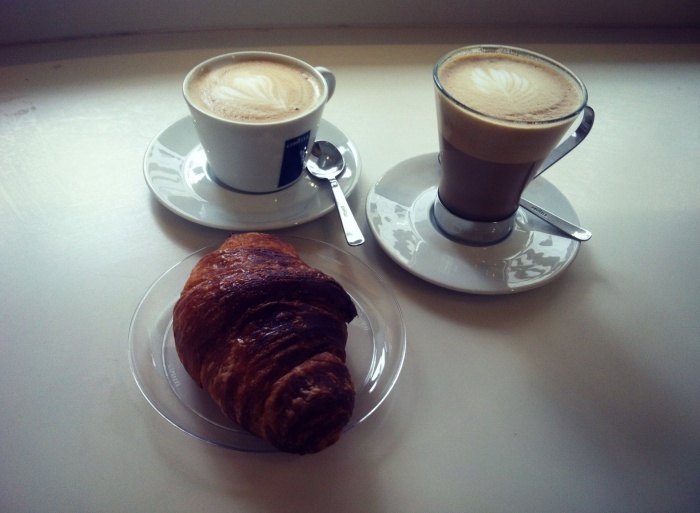 And croissants. We became addicted to Eataly. This is the food store of foodie’s dreams! 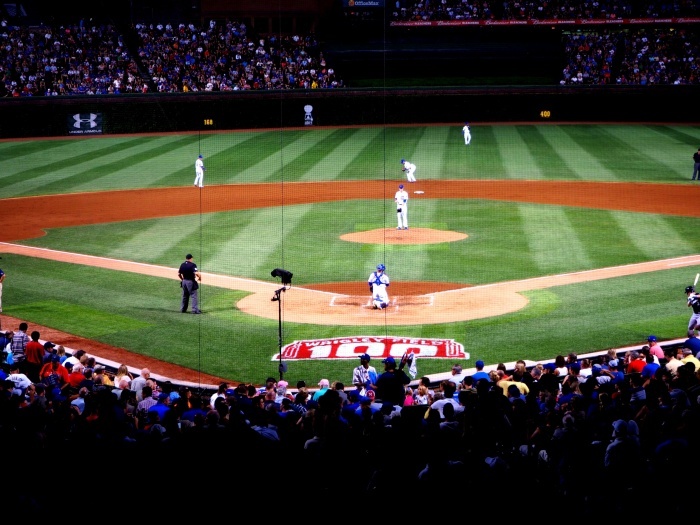 I was totes disappointed that we missed out on seeing my beloved Chicago Bears play football by one day, but we did catch a Cubs game at Wrigley Field, which was another dream come true. If you like sport and time your trip right, you will have lots of options to catch some of the action live. 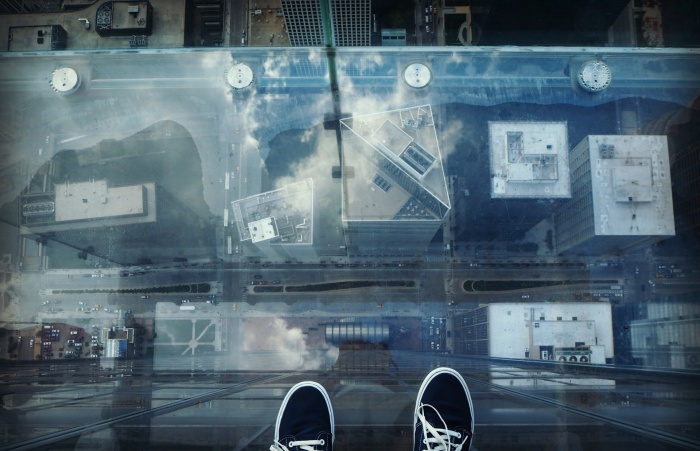 …and travelling to the 103rd floor of the Willis (ex-Sears) Tower for a bird’s eye view of the city. David was brave enough to venture out onto the ledge, 1353 feet above ground level, and he was rewarded with this bird’s eye view. For more Ferr-inspiration, you can eat hot dogs (under the pretense that they’re made by the sausage king of Chicago) and visit the Chicago Mercantile Exchange, just like Ferris did. We still have a whole heap of things on our To-Do list for next time because there will surely be a next time. One visit to Chicago is never enough. Have you been to Chicago? Got anything to add to the list? 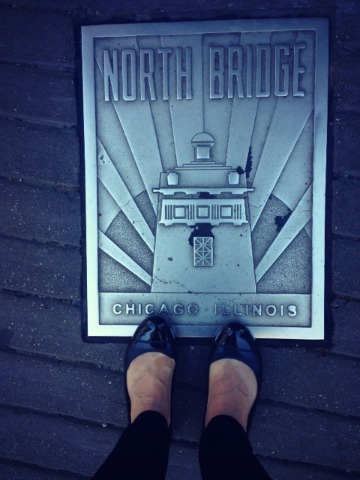 If you went to Chicago, what would be the top of your To-Do list?